This profile is the first in a series. 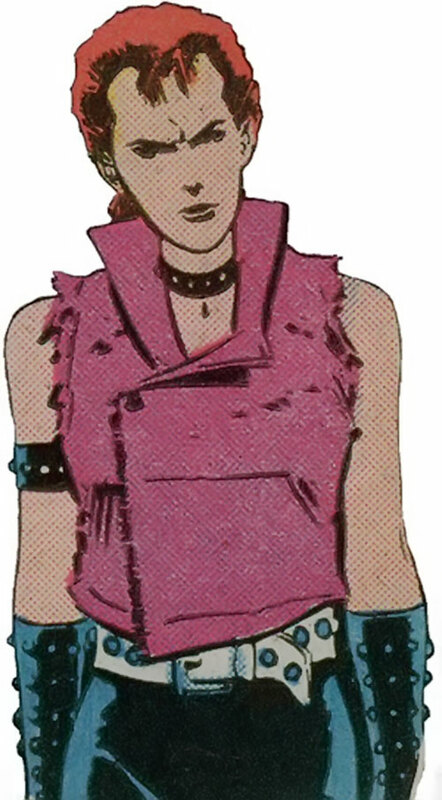 It covers the 1981-1987 appearances of Rachel Summers, a psionic time traveller from a nightmarish who joined the X-Men in the present. Rachel Grey as Marvel Girl. Real Name: Rachel Anne Summers. Other Aliases: Phoenix, Hound, Ray, Red, Starsoul Firehair. Known Relatives: [in her own time period most of these are dead, and some may never have been born]. Scott Summers (Cyclops, father), Jean Grey Summers (Phoenix I/Marvel Girl I, mother, currently deceased), Nathan Christopher Charles Summers (alternate reality brother), Alex Summers (Havok, uncle), Gabriel Summers (Vulcan, currently believed deceased), Christopher Summers (Corsair, grandfather), Katherine Anne Summers (grandmother, deceased), John Grey (grandfather), Elaine Grey (grandmother), Philip Summers (great-grandfather), Deborah Summers (great-grandmother), Sara Bailey (aunt, deceased), Gailyn Bailey (cousin), Joey Bailey (cousin), Bekka Wallis (cousin), Phyllis Dennefer (great-aunt), Roy Dennefer (great-uncle), Roger (uncle), Liam (uncle), Mary-Margaret (cousin), Kindra (cousin), Derry Campbell (cousin), Brian Grey (great-uncle), Julia (aunt). Group Affiliation: X-Men; formerly Hounds of Ahab. Base Of Operations: Xavier’s mansion, Westchester. A potentially powerful telepath and telekinetic, Rachel is still relatively new to her powers. Thus, she tends to use them in relatively straightforward ways. She possess an unusual level of fine control over some aspects of her powers, such that she can completely change her clothes by altering them on a molecular level. But on more general usage she’s not quite at the level her mother was at the start of her career. She can use her telekinesis to project bolts of pure force at opponents, reflect projectiles back at their source, or to form protective shields of force around her. She could also use it to allow her to fly, initially requiring her concentration, but by the time she became Phoenix she could do it automatically. Her telepathy allows her to ’persuade‘ others to do as she wishes, to search their memories, wipe their memories, or to send blasts of pure psychic energy against them. During the beginning of her time in the mainstream time period she’s more likely to use her telekinetic abilities, especially for offence. This is probably a reflex from her own time period, where she’d often find herself faced with robotic Sentinels, who’d be less affected by telepathic attacks. As time goes on, and as she gains more confidence in herself, she begins to use her telepathic abilities more, although she always seems to be more comfortable, and proficient, with her telekinetics. As a Hound of Ahab she was trained to hunt down mutants, being able to detect whether or not an individual is a mutant, and being able to track an individual by the psychic trail they leave behind them. She possesses a latent link to the Phoenix Force which she inherited from her mother. While she later learns to access this more fully (see the Phoenix II entry) at this point in her career she has manifested it in her ability to travel back in time to a divergent reality, or to send the willing mind of another back into their body in that time period. She begins to access more of the Phoenix power during the later part of this period. 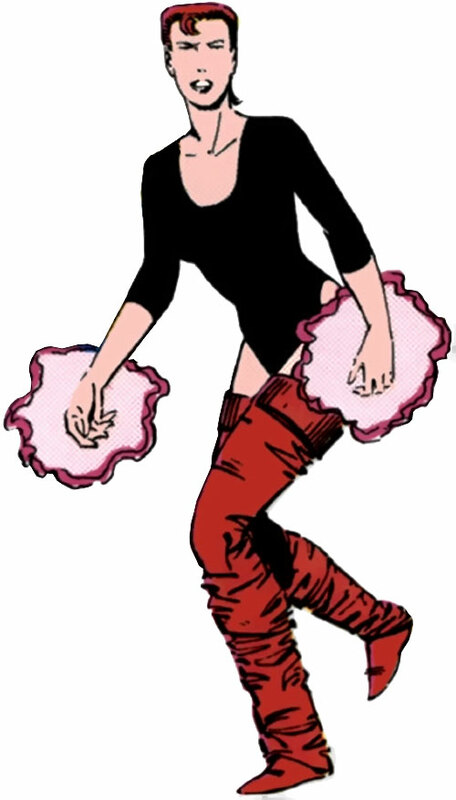 The daughter of the X-Men Scott Summers and Jean Grey, Rachel inherited her mother’s telepathic and telekinetic abilities. She spent the majority of her childhood at Charles Xavier’s School for Gifted Youngsters. When anti-mutant Senator Robert Kelly was assassinated, it instigated widespread anti-mutant hysteria. This resulted in the election of a strongly anti-mutant President, whose administration used Sentinels to combat the threat of mutants. 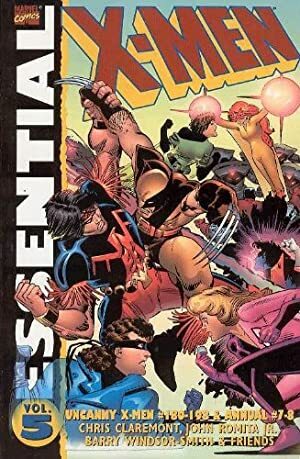 The Sentinels decided that the best route to securing their objective of protecting humanity from mutants lay in taking over control of the US, and eventually the world. Over time they would kill or imprison virtually all known superhumans within the US, and their gaze then moved beyond their own borders. While Rachel was still a child, Federal forces stormed the School. The only survivor was Rachel, whom the soldiers found alongside Xavier’s body. Using drugs to inhibit her developing powers, she was handed over to the sadistic Ahab, who tortured and brainwashed her. He transformed her into the first of his Hounds, using her psionic abilities to hunt down other mutants for the authorities, occasionally also forcing her to kill her prey. However she eventually managed to break her programming enough to lash out at Ahab, crippling him. Incarcerated in the South Bronx Mutant Containment Facility, she was reunited with surviving members of the X-Men. She also met met and fell in love with fellow prisoner Franklin Richards. A group of them escaped, and initiated a plan to change history. Using Rachel’s powers, and probably also accessing her latent link to the Phoenix Force, she exchanged the consciousness of Kate Pryde with that of her teenage self prior to the attempt on Kelly’s life, 30 years earlier. Pryde managed to save Kelly’s life, but this only succeeded in creating divergent timelines, leaving their reality unaffected. The team continued to be hunted by the Sentinels, picked off by their pursuers until only Rachel and Kate remained. They snuck into the laboratory of Project Nimrod, an attempt to create the most advanced Sentinel yet, but were detected, and cornered. Pryde activated a post-hypnotic suggestion she’d implanted in Rachel, which accessed the Phoenix Force, sending Rachel physically back in time, into the divergent reality Kate herself had earlier created. Nimrod, who had just come on line, slew Kate and travelled back in time to hunt down Rachel. Lost in a strange world, and realising she was no longer in her own reality, she found herself hunted by the psychic vampire Selene. Initially escaping her, Rachel accepted an offer of help from a stranger, Nick Damiano, only for him to be murdered by Selene. Rescued by the X-Men, she allowed Xavier to read her mind, and then accepted an invitation to join the team. 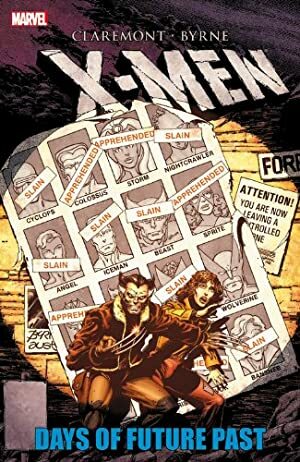 Shocked to learn of Jean Grey’s death in this reality, and that Scott Summers had married someone else and was expecting his first child, Rachel had trouble dealing with her new circumstances. She kept her true identity secret from Cyclops for a while. While shopping in New York with Amara (Magma), she sensed Selene’s mind nearby. Amara also had reason to hate Selene, and so they tracked her to the Hellfire Club, which they infiltrated to find Selene being initiated as the club’s new Black Queen. They were overwhelmed by Selene’s psychic powers, but managed to break free in time to call on the X-Men for help. They were forced had to leave Selene alone, as they had no proof of any wrongdoing on her part. Visiting the home of Jean’s parents while they were absent, Rachel found the Holempathic Matrix Crystal imbued with an imprint of Jean’s personality. She made psychic contact with it. As a result she decided to adopt the name Phoenix, intending to redeem it. It was while in contact with the crystal that she first, unknowingly, manifested the Phoenix Force. Soon after, the Scott Summers of this reality has his first child, Nathan, and Rachel established a psi-link with him. 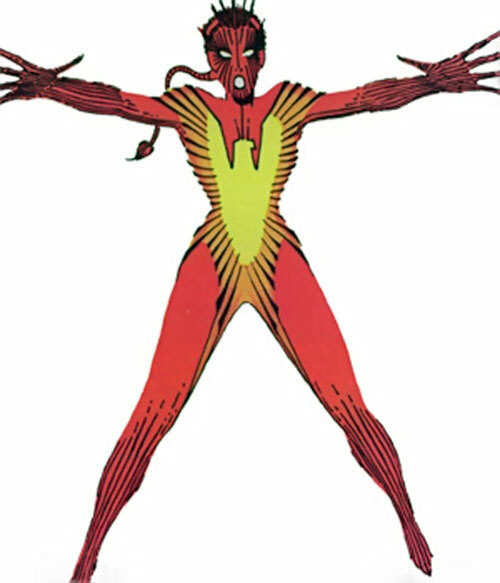 When she encountered the Beyonder, he temporarily allowed her access to the full power of the Phoenix Force, to see how she would respond to it, before removing it shortly thereafter. While she had it, she borrowed the life force of her team mates, some voluntarily and some against their will, to marshal force against the Beyonder. But this would have caused the destruction of a portion of the universe, so she ultimately gave up on the idea. Her feelings of alienation from her team mates were exacerbated by her nightmares setting off her powers unconsciously, harming Wolverine. She fled them, and decided to try again for revenge on Selene for their earlier clash, and so snuck into the Hellfire Club again. Getting Selene at her mercy, Rachel was prevented from killing her when Wolverine caught up with her. He used his claws on her, leaving her with a potentially fatal wound. She fled, barely keeping herself alive with her powers. In her weakened state she was taken in by Spiral who offered to remake her as she wanted to be, but actually took her to Mojoworld, where she became prisoner of Mojo. Timid and nervous, Rachel is still shell-shocked from the events of her life. She is burdened by the guilt of the things she’d been forced to do as a hound and the fact that all her friends are dead. A shy teenager, she’s looking for a new family, but has trouble accepting one as she’s always worried that it’ll get taken away from her at any moment. Having repeatedly lost those close to her, she tends to get protective of her surrogate families, doing her best to keep them together, and to stay with them. Her main motivating factor is her desire to follow Xavier’s dream. Determined not to allow her future to come to pass, she’s devoted herself to Xavier’s dream as the best way to accomplish the task. If she can’t join a team working towards the dream, she forms one. She has a number of insecurities about her place in the world, and guilt about her past. These can greatly effect her actions both in social and combat situations, especially when she is subject to stress. They also offer a vulnerability which psychic attacks often hone in on. Having lost her parents in her own time, she was nervous about meeting them in this period. She was devastated when she learned that Jean Grey was dead, and that Scott was married and expecting his first child. She was afraid of Scott’s reaction to their relationship, and so didn’t tell him, although a number of her actions seemed designed to goad him into working it out. 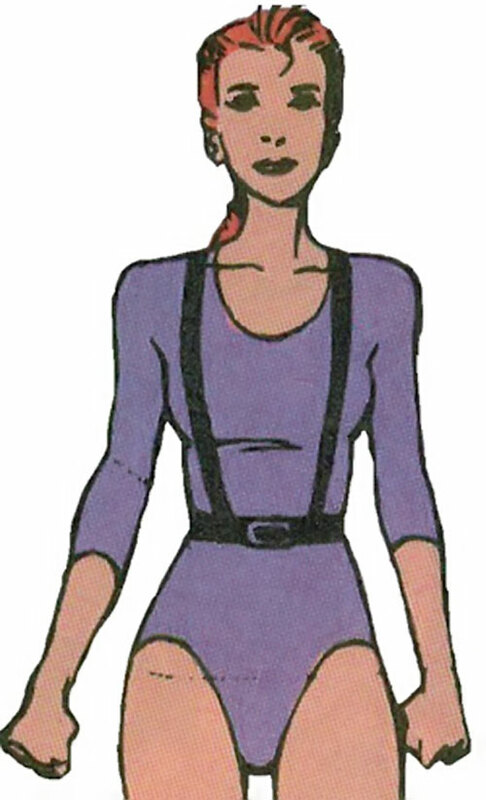 Deeply scarred by her history, Rachel can be highly-strung and temperamental, especially when she sees her new reality changing from her previous one, such as finding out Jean Grey was dead, when she lashed out in rage at her team mates, or that her father was expecting a son with another woman, when she ran away crying. When she intercepted a psi-flash for help from her father, the moment overtook her, and she unconsciously altered the program of the Danger Room sequence she and some of the other X-Men were about to engage in to recreate her future, where she thought she was a Hound. 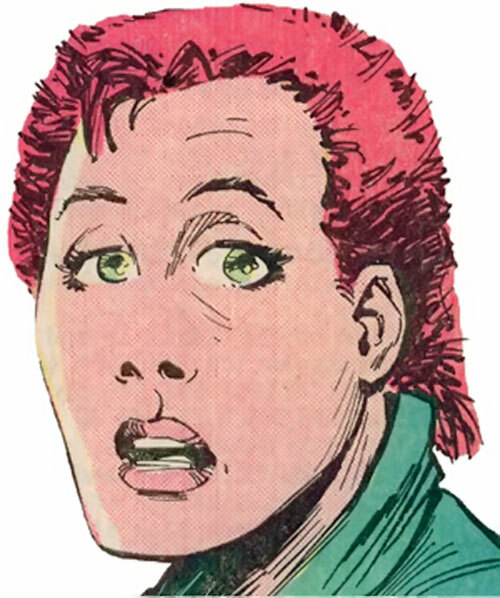 Her experiences have left her nervous around humans, and she is quickly angered at anti-mutant sentiment, which can cause her to revert to her Hound persona. The Hound persona seems to have become a defensive response to tense situations, an aggressive and ruthless hunter, who stops at nothing to stop her prey. She has also had extreme reactions when asked to track a mutant with her powers, when she collapsed in panic, although she did overcome this later during this time. Her travels in time brought her to the attention of the Linear Men, but by the time they caught up to her, she was badly wounded and fleeing the time travelling Nimrod, whom they viewed as the greater threat. The next time they caught up to her she had become the Phoenix, and the Omniversal Majestrix had announced Rachel as being under her purview, leaving the Linear Men to watch her without interfering. Force Field, Invulnerability, Matter Manipulation, Mental Blast and Reflection/Deflection are Contingent on Telekinesis (-1). Force Field has Range (+1). Hypnosis, Life Sense, Mental Illusion, Mind Blank, Mind Blast, Mind Field and Mind Probe are Contingent on Telepathy (-1). Hypnosis can remove memories (+2). Life Sense can identify whether the target is a mutant (+1). Matter Manipulation can only be used on clothes (-1), has the Area Effect Bonus (+1), and is Permanent (+5). Mental Illusion has the Area Effect Bonus at a Range of 6 APs (+4). X-Men (High), New Mutants (High). MIA (Belonging), SIA (Xavier’s Dream), Enemy (Nimrod), Forced Exile, Guilt, MIH (Anti-Mutant Bigotry), MIH (Selene), Mistrust (Mutant), SPI, Traumatic Flashback (hunting mutants), Uncertainty. One of Rachel’s reactions to stressful situations is a reversion to the Hound personality which was programmed into her while a captive of the Sentinels. The Hound is a vicious and aggressive hunter, who focuses on her prey, and lets nothing get in her way. 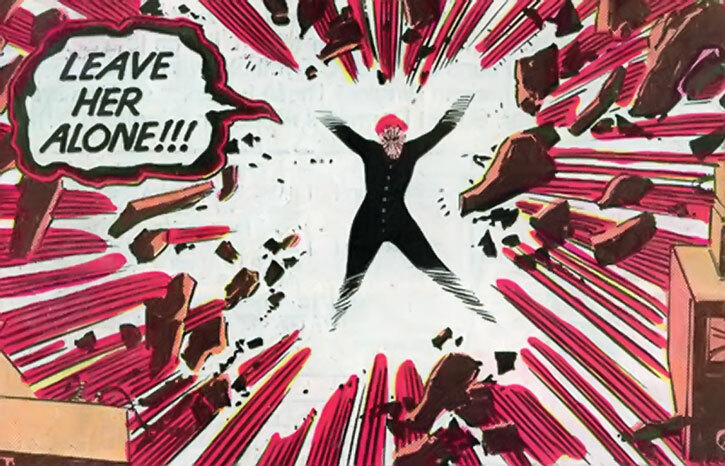 Situations which have caused this reversion include when she, Magneto and Xavier were caught in the blast from a bomb set by anti-mutant bigots (probably reviving memories of Xavier dying in her arms when she was young), which caused her to change and hunt down their attackers, only being talked down from killing them by Magneto; and when she was alienated from the other X-Men and decided to hunt down Selene. In game terms, when her SPI is triggered, it may (at the GMs discretion) cause her to revert to the Hound persona. When the Hound is dominant, Rachel changes her clothes into the Hound costume, a black body suit with metal studs, she gains an already active Minor Rage, and scars appear on her face (can be considered Chameleon (Contingent on Telekinesis): 01). Accessing her latent link to the Phoenix Force, Rachel has exhibited the ability to send the minds of others into their bodies in the past, and to send herself physically into the past (although the second case was due to a post-hypnotic suggestion planted by Kate Pryde, and Rachel may not remember how it was achieved). The first caused a divergent reality, into which she later sent herself. She has Time Travel (Catastrophic Marginal): 28, and Personality Transfer (can only be used in conjunction with Time Travel, and only to transfer the mind of a willing participant into their body within that time period): 10. These are rarely used, causing an incredible strain on her abilities, and require the Gamemasters agreement to be used. Following her adoption of the Phoenix identity, she begins to gradually display greater power over the remainder of the time covered by this write-up. Her abilities will start to rise towards those in the Phoenix II write-up, but at an intermittent level. She has 50 HPs, develops Flight (Contingent on Telekinesis): 05, rather than relying on her Telekinesis for it, her Force Shield becomes Force Field, and she has Minor Marginal Power Reserve (all Powers): 05. 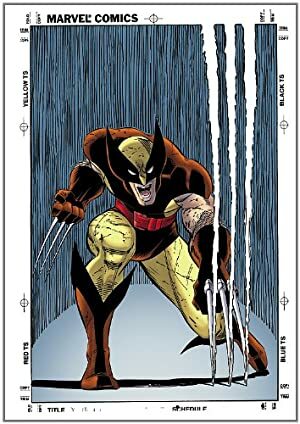 Source of Character: Marvel Comics (this covers the period up to Uncanny X-Men #209). Helper(s): Marvel.com , capita_senyera, Mike Winkler, Sébastien Andrivet, Chris Cottingham, Peter S Piispanen, Adam Fuqua, Pufnstuff, KalEl el Vigilante, azraelfl, Frank Murdock.